Mini Matters OSFM Fitted Night Nappy. 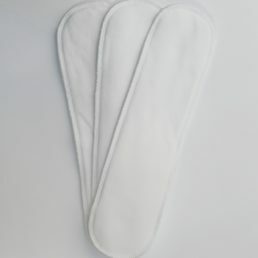 Super soft, adjustable and easy to use. 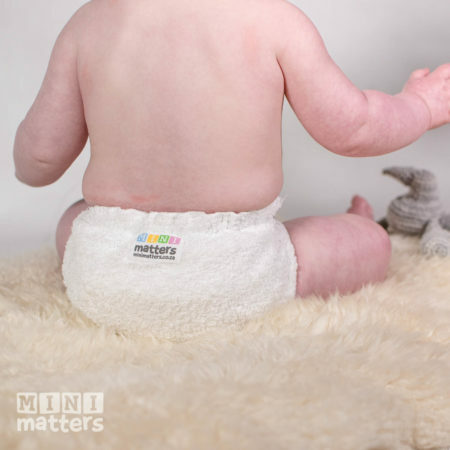 This nappy needs to be worn with a waterproof cover and requires a Snappi for fastening. Mini Matters Fitted Night Nappy is a one-size-fits-most night-time solution. Suitable for babies approximately 5-15kgs. 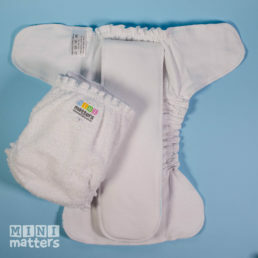 These nappies need to be worn with a waterproof cover. *The Night Nappy is suitable for medium wetters and therefore offers adequate absorbency to get most babies through the night. 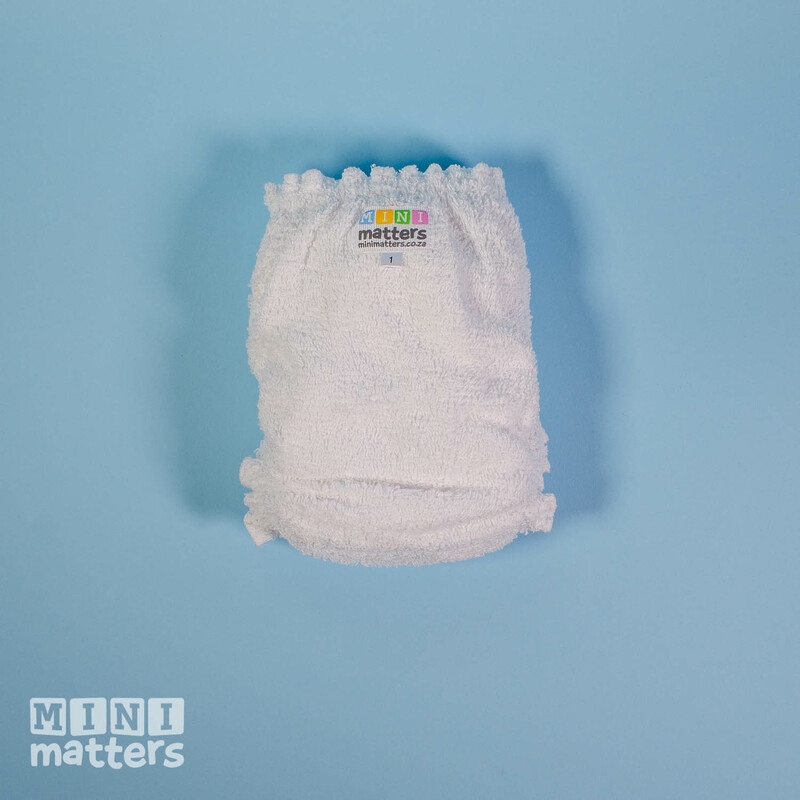 If you need more absorbency you can easily boost this nappy by adding an extra cotton booster between the nappy and the cover. You might need to do an additional rinse if there is still some detergent or soap in the water. 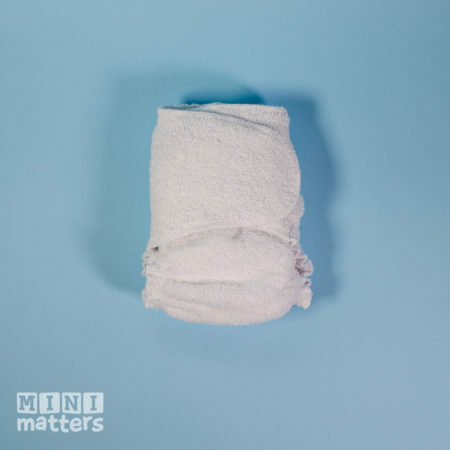 Fabric softener should never be used when washing your nappies. Line dry or tumble dry on a low heat. 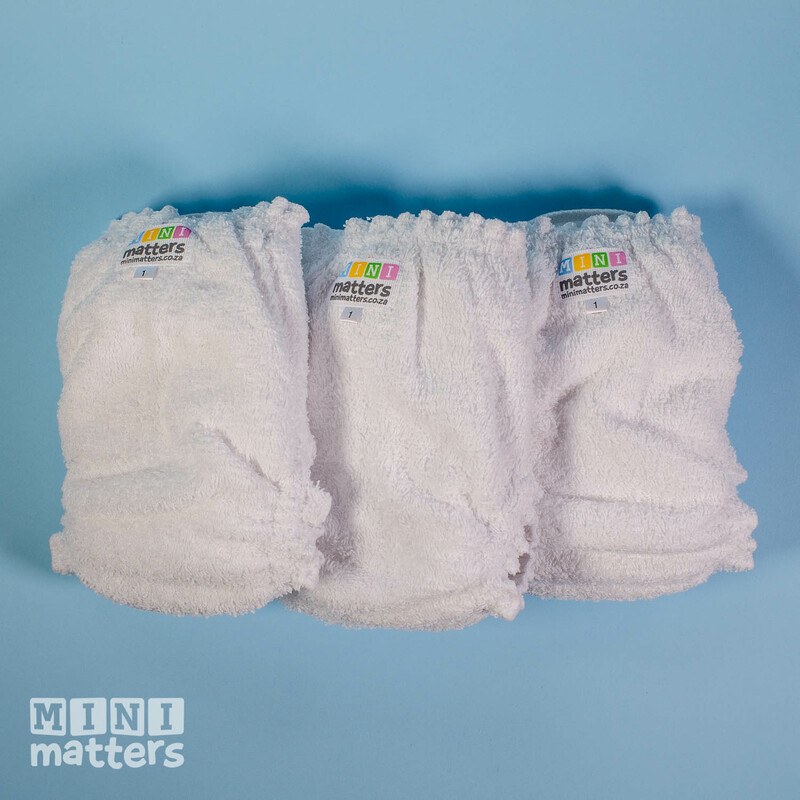 Avoid using bum creams, barrier creams or petroleum jellies. 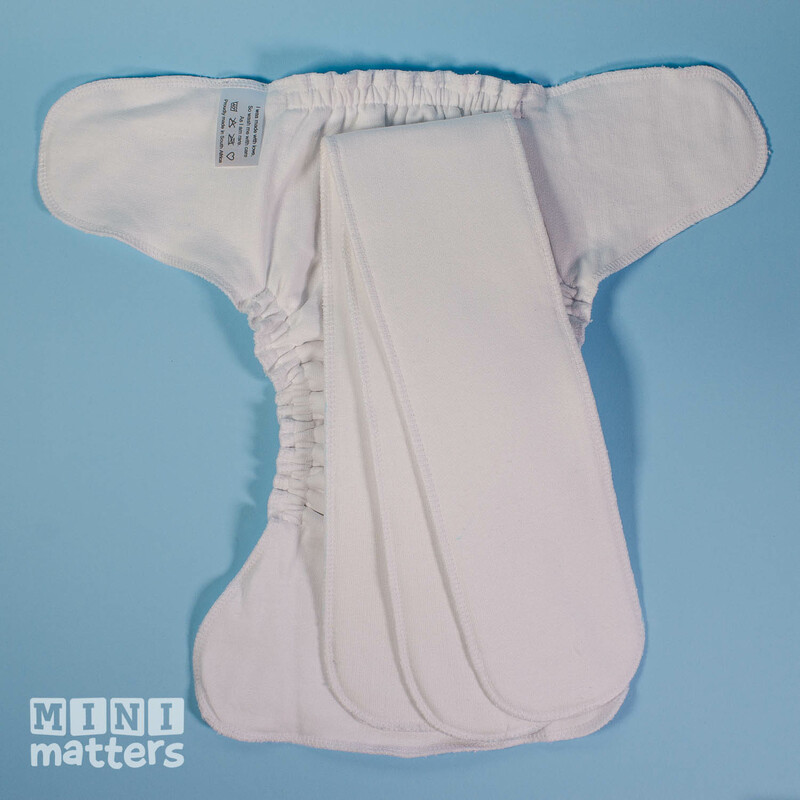 These affect the absorbency of your nappy and can cause build­-up on the fibres. We advise using coconut oil or a cloth friendly product if you feel the need to use something. Huge fan! Works excellently for my medium wetter 5-month old lg. Not even fully prepped yet lasts 12+hours (good sleeper). 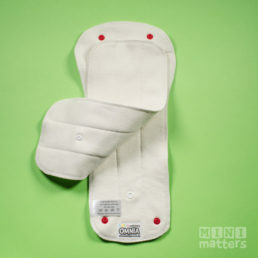 Love the adjustability and softness.